Ever had one of those days where you feel so drained from work or school that it begins to show even through your skin? 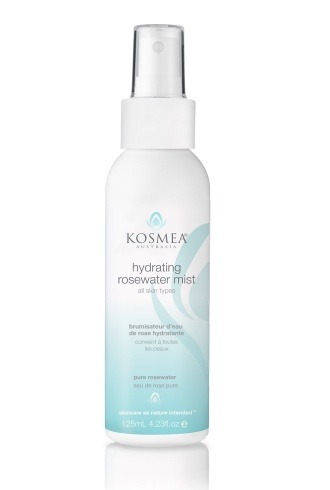 Dull and dry skin may just be some common effects caused by stress, but with Kosmea Hydrating Rosewater Mist—freshening up has never been so convenient! You don’t even need to step out and head to the Ladies’ Room. Simply take it out of your bag, close your eyes, and spritz on the product while enjoying the cool and clean sensation. Kosmea is a skin care and cosmetic line that originates in Australia and was founded by Marie Jenkins, who wanted to improve the way people cared for their skin—by bringing together groundbreaking, natural products and ensuring that they are within everybody’s reach. The Kosmea Hydrating Rosewater Mist, available inside every December Glamourbox and our online boutique, is just one of their many innovations. It’s a gentle soothing, cooling and hydrating formula made from pure rose flower water that instantly refreshes and hydrates the skin from wherever you are—be it in the car, in the office, or inside the classroom. It can act as a gentle alcohol-free toner to help close the skin’s pores after cleansing. It also enhances the skin’s ability to absorb, and it provides refreshment—particularly on hot and humid days! It even helps makeup to set better, so it’s a good idea to spray it on before wiping your face and applying your primer. For those with oily skin problems, it’s a perfect alternative to oil films and press powders—especially if you’re prone to breaking out. Let the cool and clean feeling leave you stress-free the entire the day, and keep that skin fresh with Kosmea Hydrating Rosewater Mist!